How does applying for credit affect my credit score? How do credit scores really work? What impacts my credit score? How does applying for credit affect my credit score? There is a lot of misinformation and misconceptions surrounding credit and the impact to your credit that is caused by applying for credit cards. Your credit is the key to being able to get the best bonus offers in the miles and points world. Banks got very tight with new credit during the first couple years of the recession that started in 2008; however banks are now very eager to offer new credit to credit worthy customers since they have taken such big losses in the past years. There are 5 main components that go into the calculation of your credit score. 1. Payment history– This is obviously a no-brainer, but making sure you pay all of your accounts on time is crucial to your credit score. Payment history is roughly 35% of your credit score . Payment history affects your credit score more than anything else. 2. Credit utilization – This is the ratio of your total balance compared to your total credit limits. If the total balance of all your accounts is $1,000 and your total limits are $10,000 then you would have utilization ratio of 10%. You should always try to stay under 25% and NEVER go over 50%, but your best off by keeping it as low as possible. This accounts for 30% of your credit score. 3. Length of credit history– Make sure you keep your oldest couple of accounts open and make a purchase once every year to make sure the account doesn’t get closed due to inactivity. The longer you can show you have had accounts and have maintained them in good standing the better! This accounts for 15% of your credit score. 4. Types of credit– The more types of credit you have had, the better. However, do not go get a car loan just to be able to have a car loan on your credit. There are 3 main types of credit: Revolving (re-usable items such as credit cards and lines of credit), Installments (car loans, personal loans, etc.) and mortgages. This accounts for 10% of your credit score. 5. New credit– This would be those new cards you just opened recently for that trip to Jamaica or Australia or wherever. This accounts for 10% of your credit score. As you can see, opening new accounts for someone who is excelling in the first 4 areas (especially the first 3) has very little impact. And on top of that, as you continue to get new accounts, the older ones that you kept open will continue to get older which only further improves your credit score. 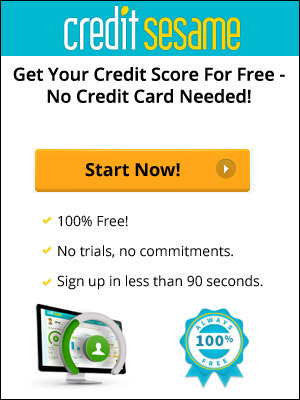 Click the link below to check your credit score for free directly through Trans Union. This is just one of many ways you can get your credit score for free, but I recommend going through one of the credit bureaus directly rather than relying on a third-party to calculate an accurate credit score for you if you need an exact score. 1. Do not over apply: Some people will go crazy applying for credit cards and try to get 10 or 15 new cards right out of the gates. This can have a devastating impact on your credit and will result in most of those applications getting declined. Every time you apply for credit the bank does a “hard pull” on your credit. A hard pull or hard inquiry does have an effect on your credit. A hard inquiry usually will reduce your score temporarily by 2-3 points average, but should recover within a month or two. Also, banks do not only look at the credit score but they also look at the number of hard inquiries on you credit report. If a bank sees 10 or 15 inquiries in a very short time, you will appear to be desperate for money, be considered high risk, and likely be denied. 2. Apply for about 3 cards at a time and no more often than every 90 days. If you are married you can apply for 3 each and really rack up the miles/points. Sometimes a very rare offer will come up before it has been 90 days since your last round of applications, and you may end up jumping on it. That is ok as long as it doesn’t happen between every round of applications. 3. Do all applications on the same day. This is to your advantage as the banks will not see the application you just did five minutes prior with another bank. Also the prior hard inquiry will not have posted and therefore will not have affected your score yet. 4. Mix up the credit card companies in order to reduce the impact to your credit. There are 3 major credit reporting agencies that banks use to check your credit. Different companies may use different credit bureaus to check your credit. So by mixing up the companies you are applying with, you can end up splitting the inquiries up across the credit bureaus and further reduce the impact to your scores. 5. ALWAYS pay your bills on time– this needs no further explanation!! 6.NEVER, ABSOLUTELY NEVER use a credit card to buy something you weren’t already going to buy! This is one of the most important rules of them all! This is how people get into major trouble. Never sign up for a credit card with a minimum spending requirement unless you are confident you will be able to reach it.